Canadian HR Reporter - What's ahead for 2019? While issues such as workplace harassment and recreational cannabis will continue to keep Canadian HR professionals busy in 2019, ushering in the “future of work” will also become a necessary business imperative, according to experts. This past year in HR was marked by the legalization of recreational cannabis, sexual harassment scandals and continued fallout from the #MeToo movement, as well as labour standards revamps across the country. Each of those issues will spill over into 2019, said Manon Poirier, general manager of the Ordre des conseillers en ressources humaines agréés (CRHA) in Montreal. In addition, HR will be expected to lead organizational transformations and proactively reskill workers as the future of work becomes reality, according to Poirier. With recreational cannabis now legalized across Canada, HR’s eyes will turn to the courts and case law in 2019, according to Louise Taylor Green, CEO of Ontario’s Human Resources Professionals Association (HRPA) in Toronto. Employees have the right to consume cannabis, but must also comply with reasonable duties imposed by their employers, she said. HR can also expect “naming and shaming” to continue within toxic workplace environments that have condoned sexual harassment, said Taylor Green. The reverberations of the movement continue to trickle down to smaller organizations, according to Cissy Pau, principal consultant at Clear HR Consulting in Vancouver. Legal obligations and a heightened level of awareness amongst the public will ensure this remains top of mind for HR in the coming year, said Poirier. Several governments tweaked labour legislation this year, and the continued overhaul of employment standards is expected going forward. HR departments face surges in workload when this type of change is implemented, said Taylor Green. Out west, employers are facing minimum wage increases and a new employer health tax, which will require organizational review from HR, said Pau. The legislated increases in compensation may require HR to review perks such as benefits and bonuses as organizations cope with additional business costs, she said. HR’s never-ending quest to find the best talent will be the greatest issue facing employers in 2019, said Pau. And beefed-up efforts on branding to differentiate organizations in the marketplace could be necessary to help with recruitment and retention, she said. Employer branding and employee experience will definitely be higher on the to-do list come 2019, according to Taylor Green. As employers seek to become more agile, job descriptions may too require an overhaul to leave space for wiggle room and possible organizational change, said Poirier. Rather than hire for specific roles, HR should begin seeking out recruits with a “matrix of skills” to allow for more fluidity at organizations, said Poirier. Once positions are more fluid, mundane tasks could be more easily automated, specific work could be farmed out to gig workers, while the most important duties could remain with internal staff, she said. The gig economy also continues to gain ground with employees seeking to work when and where they choose, according to Anthony Ariganello, Vancouver-based president and CEO of CPHR Canada. 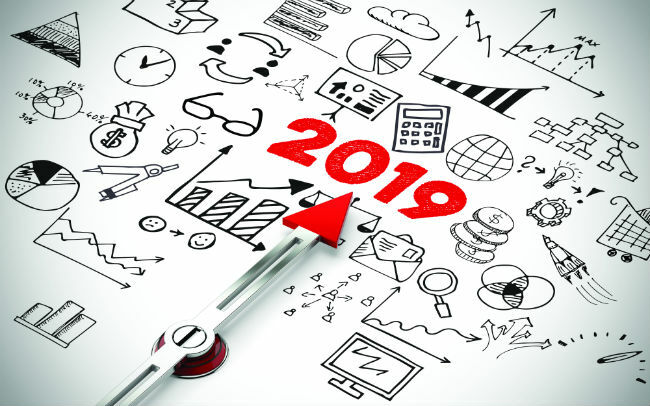 A global economic slowdown is also possible in 2019, and HR must be prepared to address the potential of organizational restructuring, said Ariganello. Investment in artificial intelligence (AI) also continues to increase at workplaces, he said. But even as AI heavily impacts some HR processes, emerging technologies remain largely unproven and expensive, said Taylor Green. “HR leaders are competing for operating and capital dollars with the revenue-producing sides of their businesses, so getting access to that capital to invest in new technologies is an enormous competition,” she said. Human resources professionals need to recognize how technology will impact their organizations — and not just from an HR perspective, said Poirier.